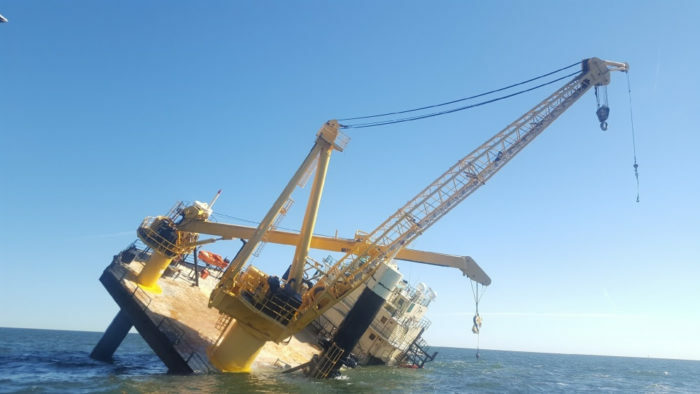 A total of 15 crew members were evacuated from the 134-foot liftboat 'Ram XVIII', after the vessel started taking on water near Grand Isle, Louisiana, on Sunday. 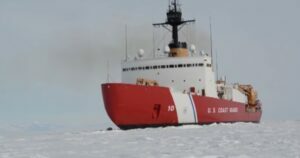 The US Coast Guard and good Samaritan vessels headed to the scene after watchstanders at USCG Sector New Orleans received a report at approximately 3:16 a.m. from the 'Ram XVIII' that it was taking on water approximately 23 nautical miles west of Southwest Pass, in the Gulf of Mexico. 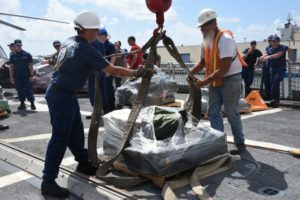 Sector watchstanders issued an urgent marine information broadcast, launched a Coast Guard Station Grand Isle 45-foot Response Boat-Medium boatcrew, and launched an MH-65 Dolphin helicopter air crew. Meanwhile, the good Samaritan vessel 'Starfleet Guardian' embarked 6 people from the vessel. The Station Grand Isle boatcrew embarked the remaining 9 people from the vessel and transferred them to the Starfleet Guardian which took them to shore. The master of the liftboat reported that the vessel had a 45-degree list and no power, causing the vessel to be unable to self correct the list. During the time, the vessel was still taking on water, a steel tank filled with soap fell over the side, causing a hazard to navigation. The liftboat has approximately 13,900 gallons of diesel onboard, but there are no reports of discharge so far. 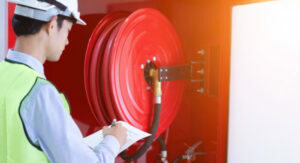 Sector watchstanders issued an urgent safety marine information broadcast for the tank and the liftboat. The cause of the incident is under investigation.